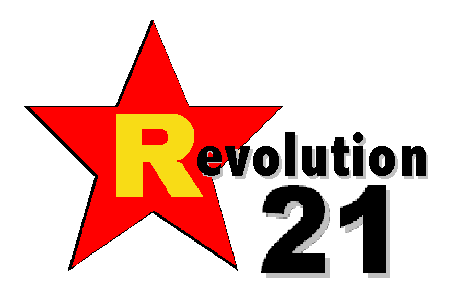 Revolution 21's Blog for the People: FU2, Bo. Now, with the pleasantries all done. . . .
FU2, Bo. Now, with the pleasantries all done. . . . 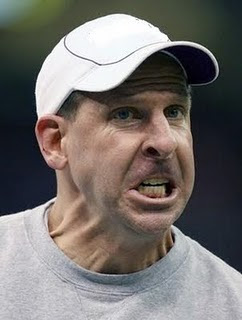 I can't get too mad at Nebraska's football coach and undisputed-champion F-bomb dropper, "Mad Man" Bo Pelini. Yes, after a big comeback against Ohio State in 2011, the coach had some choice words about Husker fans and a couple of Omaha World-Herald sports columnists, as reported (and illustrated) by the website Deadspin. Then again, what the hell do you think I was saying about him Saturday afternoon? Nebraska's second-half performance against UCLA would have been enough to make the pope drop a few choice expletives. I wonder how you say "stupid #@! *#+% a-hole" in Spanish? Or Italian or Latin . . . whichever. Pelini's real problem is that his teams keep having UCLA-game meltdowns. Or is that Wisconsin-game meltdowns? Ohio State-game meltdowns? Maybe Texas A&M- or South Carolina-game or Georgia-game meltdowns. You get the gist, I presume. ONE HAS to wonder whether Coach Bo's infamous id too often mucks about with his coaching superego. Whatever the reason, though, it looks like we have a foundational failure in the Nebraska football program, which follows on the heels of the somewhat more spectacular foundational failure that was Bill Callahan's Reign of Error down there in Lincoln. That's no way to keep the fans streaming into Memorial Stadium, and no way to keep the Huskers' legendary home-sellout streak alive through Year 51 and into Year 52. Mess that up and you've just screwed up the one thing Callahan's benighted tenure as Nebraska coach couldn't. When you couple meltdowns on the gridiron like Saturday's with behavioral meltdowns like Pelini occasionally has both in public and in private (or in private that goes public), you're flirting with both Public Relations Armageddon and Sellout Streak Apocalypse. Especially when you insult the very fan base that's stuck with the Huskers through a lot more thin than thick for the past decade. BARRING a drastic turnaround -- and a drastic change in the on-field character of his Nebraska football squads -- I think Coach Bo is gone. Involuntarily, despite his threat to walk on the leaked 2011 audio. Pelini's foundational problem, to put it in LSU terms, where he was defensive coordinator before heading to Lincoln as the head man, is that he seems to be Gerry DiNardo following the abject disaster of Curley Hallman -- an improvement, but definitely not the guy. I think this is as good as it gets under Pelini, and that's not where NU needs to be . . . and certainly not where Nebraska football has the potential to be. The big question here is who's out there to get the Huskers where they need to be without sacrificing all the values that make Nebraska football special and keep the program's nose clean with the NCAA. Athletic Director Shawn Eichorst has some hard thinking to do as this season, like most of the rest under Pelini, remains mired in the muck of mediocrity. Expect a rousing victory this week against South Dakota State. Whee!